I keep hearing this, in a variety of guises. The dismissive certainty that library schools are out-dated in their understanding of how digital information has changed the modern world and its management of humanity’s record beyond recognition, and that LIS masters programmes produce graduates who are unemployable. 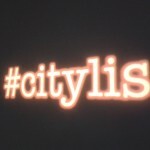 Having directed masters programmes in LIS for nearly a decade, I take a different view, and offer my firm belief that our library school, #citylis, delivers a sound contemporary understanding of today’s information landscape, and fosters a wide range of highly desirable professional and personal skills in our students. I doubt I am the only library school advocate, I know several colleagues from other schools who are equally passionate about their curriculum. At #citylis, we enjoy a constant dialogue with practitioner colleagues, our professional body (CILIP), employment agencies (Sue Hill, TFPL), alumni and current students, which allows us to elicit trends in technology, services, economics, user needs and other aspects of current practice. We are also avid horizon scanners, keeping an eye on the literature beyond the boundaries of our LIS discipline, to ensure we understand the wider context of what library and information science is trying to say. These combined activities result in a constant need to update our classes and materials, but we think our relevant, contemporary syllabus is worth it. That is not to say that we offer everything to everybody. In the first instance, we work from a UK perspective, although within an international context, and secondly, our content is driven by the interests and backgrounds of our staff, and available resources, together with the primarily London-based collection institutions to which we defer for practitioner context. I don’t think any library school does, can, or even needs to offer an exhaustively comprehensive curriculum. Some variation between specializations of individual courses is perfectly acceptable, and even advantageous. Our #citylis students are enthused, engaged and positive about their chosen discipline and profession, and the majority readily find employment, not only in the traditional areas of librarianship and information work, but across a wider range of information centred activities, such as publishing, information policy and governance, data management, information architecture, web-design, customer relations, training, user-support, and educational technology to mention just a few. All businesses rely on sound information management, so the future should be bright for well qualified graduates from LIS schools. I have also read posts from library school curriculum dissenters on Twitter, in blog posts, and have verbally heard discontent from potential employers working in the sector. In response, I have informally attempted a wider conversation to solicit the actual knowledge, skills, understanding or abilities that library schools fail to provide. Responses to my question “what knowledge and skills do LIS graduates need that they don’t get from library school?”, are often vague, but some are highly sensible and relevant, including: a clearer focus on the implications of the transformation of information communication pathways brought about by digital, the subsequent changing expectations of users of library services, designing systems and processes for information management, information architecture and research data management. Unsurprisingly, the majority of these specific suggestions have a technological focus, and I am in complete agreement with the necessity for LIS courses to acknowledge the significant changes affected by digital advancement. Indeed, over the last two years, colleagues and I have already gone a long way to enhance our library technology focus, via curriculum design and out-of-hours workshops and seminars. A significant number of dissenters cite a lack of emphasis on more generic skills such as how to use a spreadsheet, marketing and promotion, design of promotional material, and communication skills. Communication skills covers many areas; ability to write well, ability to make a convincing case/argument (advocacy), ability to lead, to work in a team, ability to analyse, interpret, present and communicate data, ability to teach, ability to attract funding, and all-round social know-how. Knowledge of the company and its ways of working, was a favourite request, but here there was agreement that this could only be attained once a graduate was employed by the specific company. The generic skills outlined above, are all valid and important. The question here is which of them should be included in the LIS curriculum. 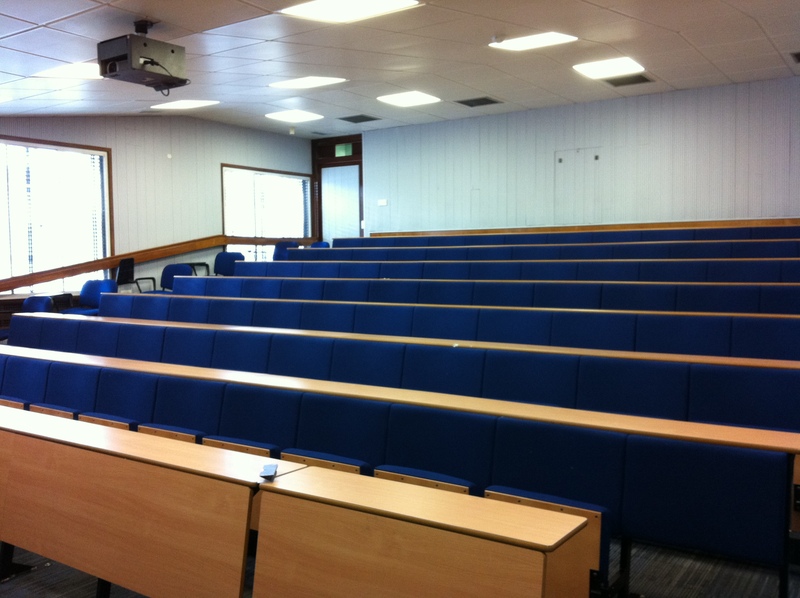 Most (UK) masters programmes are a year long, and the schedules are already tight. Inclusion of more generic skills invariably means something else must be excluded. And, of course, there are other aspects of LIS to be fitted in, in addition to the purely technical aspects, and the generic. At #citylis, we are keen to get this right, and would be willing to host a forum/meet-up where employers, professional bodies, students and programme directors can meet to discuss the role of LIS courses in preparing new professionals for work in our sector. Students, I am sure, would welcome this dialogue. Such a discussion is likely to stir up the longstanding tension between the demands of an academic masters course to cover theory and concepts, research methods and ideas found at the edge of our literature, versus the demands of employers for graduates who are ready to go from day one. But, a debate could surely only aid the smoothing of joins between the two halves of the whole. If anything it would allow us to re-examine ‘essential’ knowledge and skills, which need to be explored in the masters programme, alongside areas which could be covered by continual professional development, or in-house training. Thanks to Dave Thompson (@d_n_t) for ideas. This entry was posted in Opinion and tagged #CityLIS, HigherEd, libraries, library-school, LIS, lis-education, London by Dr Lyn Robinson. Bookmark the permalink.